This has always been my very favorite Moroccan food to eat. Beans. Just beans with tomatoes and spices and crusty bread. My mother-in-law spoils us by baking fresh bread so often we usually have freshly baked bread when eating loubia- Moroccan white beans. 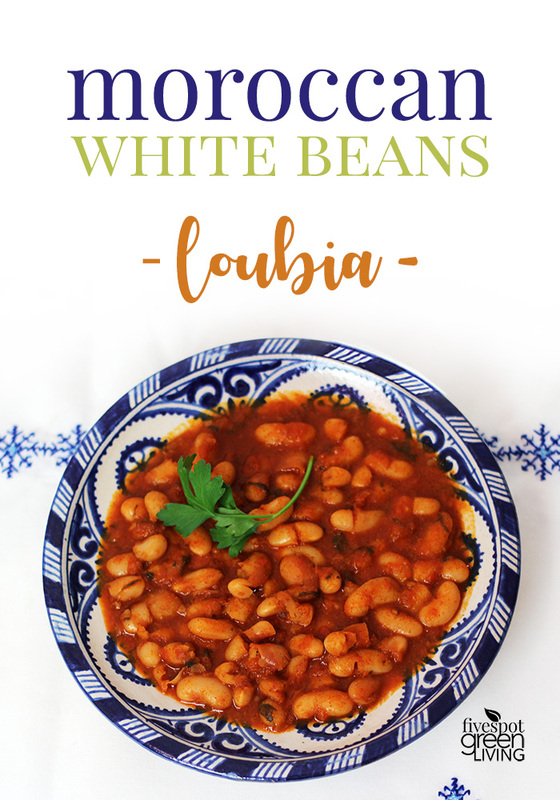 Moroccan White Beans, or Loubia, is very simple, and very quick, and equally delicious. I use dried beans soaked in water all day but you can also use canned beans cooked on the stove top. 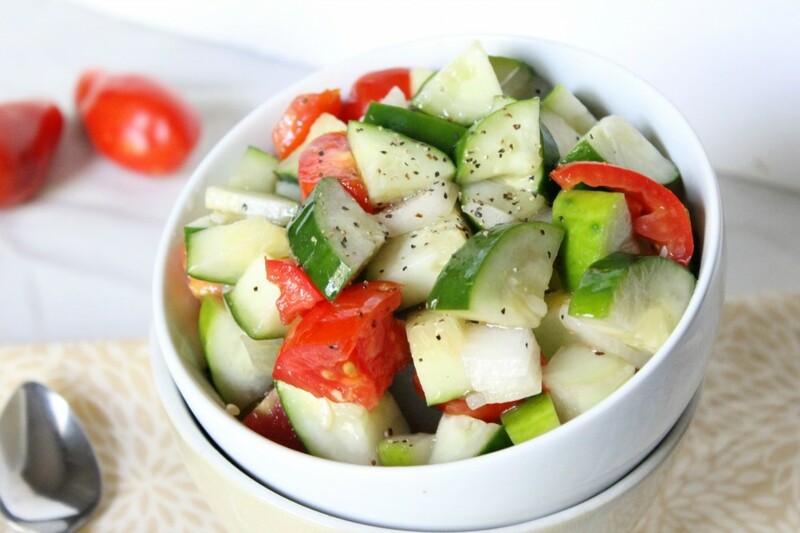 This one of my favorite quick and simple healthy recipes! 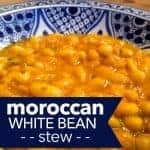 I’ve been eating Moroccan food for so many years and Moroccan white beans will always be one of my very favorite recipes. It’s so much like tomato soup but the beans give it some extra depth and nutrition. In Moroccan culture, the way to eat anything is with homemade bread. You tear a piece, put it in your right hand between the first 2 fingers and scoop up the beans and sauce and complete it using your thumb. You use your thumb to keep the food in place until it gets to your mouth. In Moroccan culture the act of eating is so much more than just filling your belly. It’s savoring food. It’s enjoying the company you keep. It’s being thankful to God for all that you have. White beans are so nutritious! Beans are the most complete and nutritious food and make great healthy recipes. Beans have more protein than most other vegetables and they are full of energy-sustaining complex carbohydrates, folate and fiber. Here are just a few of the benefits of beans: lowered cholesterol levels, improved blood glucose control, lowered risk of many cancers, lowered blood pressure, and regulated colon functions. Do you know how to use a pressure cooker? Here’s a post on cooking with a pressure cooker. You can also use an electric pressure cooker which may be a little less scary but still fast and efficient. 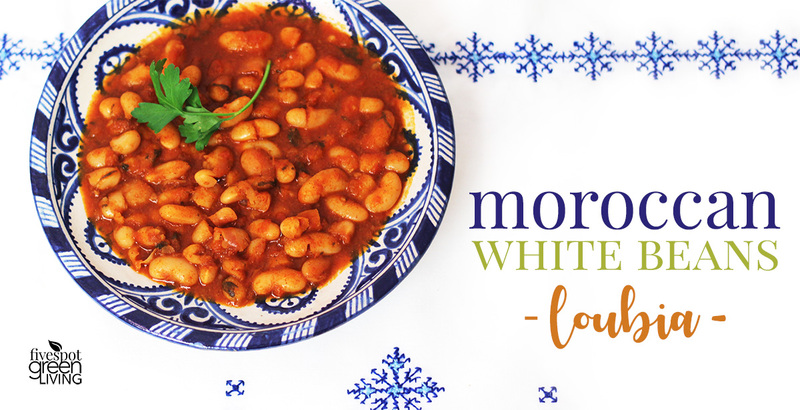 Combine this Moroccan White Beans recipe with these other recipes to make it a complete meal! Add 2 liters (about 2 quarts) of water, and bring to a simmer. If the beans are still submerged in sauce, reduce the liquids until the sauce is thick and not watery. Add 2 quarts of water, and bring to a simmer. This looks like a tasty recipe. I have been looking for more ways to add turmeric into my cooking. Thanks for sharing. This looks super yummy. We eat a lot of beans, but Iove the “sauce” on these. Looks like something my family would love. I just hopped by from Wellness Wednesday to explore your white bean tagine. 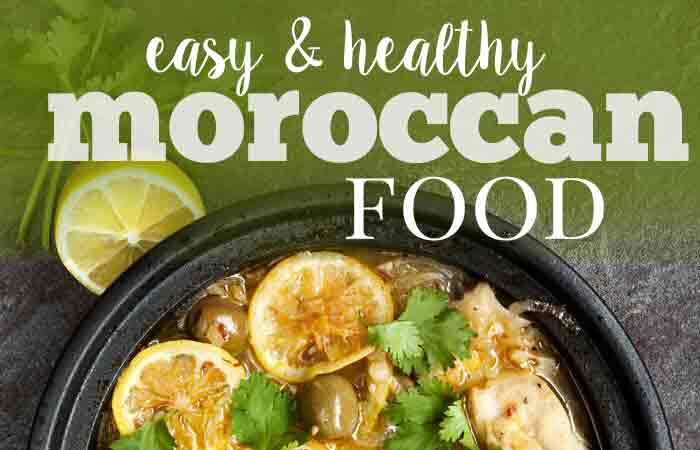 Having visited Morocco a couple of times, I am always drawn to Moroccan recipes. White beans are so delicious and the lovely blend of ingredients in this recipe is sure to please! I am pinning and tweeting this! how much is “half a bag” of beans? How many cups is that? I have the same question as Angie! How much is i/2 a bag? We don’t know what size bags of beans you have available, so a cup measure or weight for the beans would be helpful 🙂 Thanks! Hi Heather! Half a bag of beans – sorry! It’s about 1 cup of dried beans or 1 can. I am just wondering where the actual recipe went? I made this once, loved it, pinned it, and now I cannot find it! This looks great but where’s the recipe? Like previous comments stated, photo looks very promissing, but can’t find the recipe! I think there is a glitch in the website. I pinned this 2 weeks ago and it had the white beans recipe but when I went to look at it today to make it, I only see a recipe for bread. Which looks delicious, but I can’t have gluten so it doesn’t do me much good. Can you post the white beans recipe again please? Thanks Laurie – I fixed it. For some reason the bread recipe and the loubia keep replacing each other. I just started from scratch this time. Sorry for the inconvenience! Delicious and flavorful. White beans are my favorite! I have been searching for a recipe for these for a while. 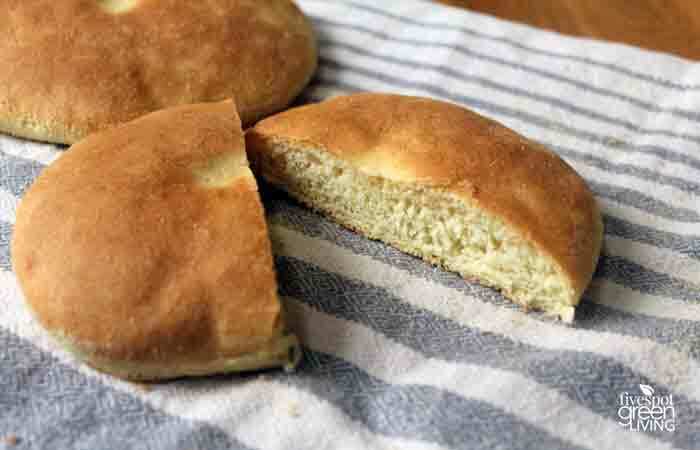 It tastes just like the recipe from our local Moroccan restaurant and is one of the kids favourites. 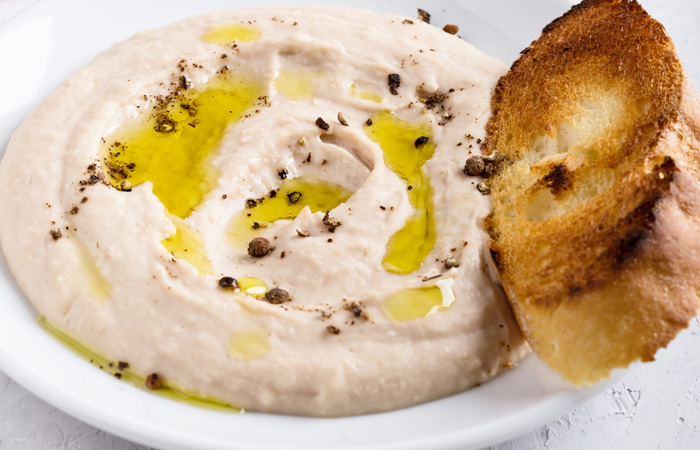 This savory Moroccan white beans recipe is just as scrumptious as it looks! As soon as I saw the ingredients and how quick and easy it is to make – I was sold. And yes, it is everything I hoped it would be. My husband went in for seconds! 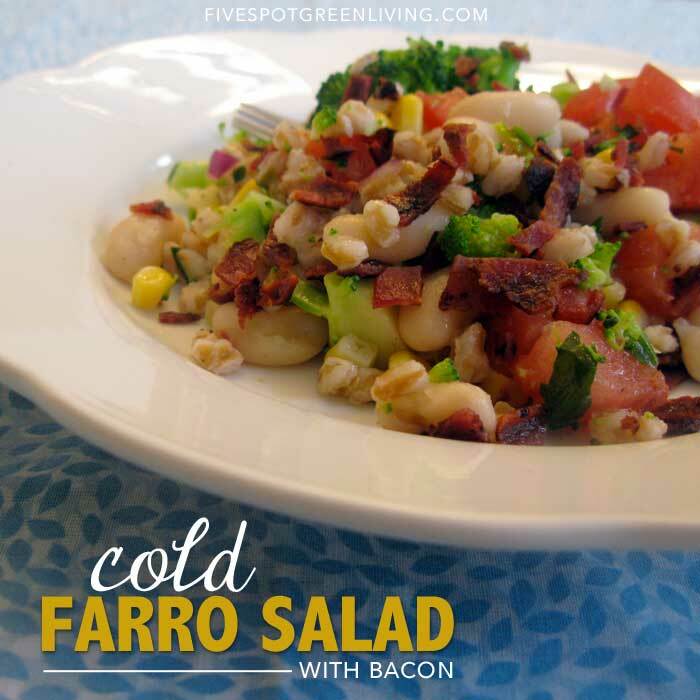 What a hearty and flavorful recipe! My family loves beans so this is perfect! This is one our favorite recipes for meatless Mondays. So much flavor and really hearty too! You have packed so much flavor into these tiny little beans. My family is alway looking for interesting new flavors. Thanks! How can you go wrong with beans! 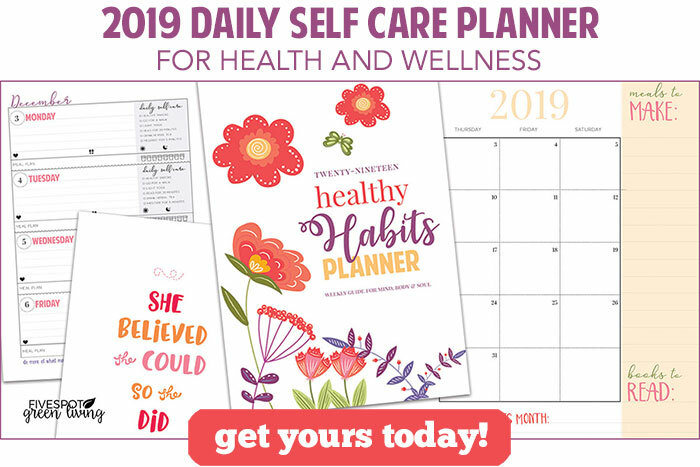 I love them – I’d love to have you share at our What’s for Dinner Party! So glad you joined us! Love your recipes! 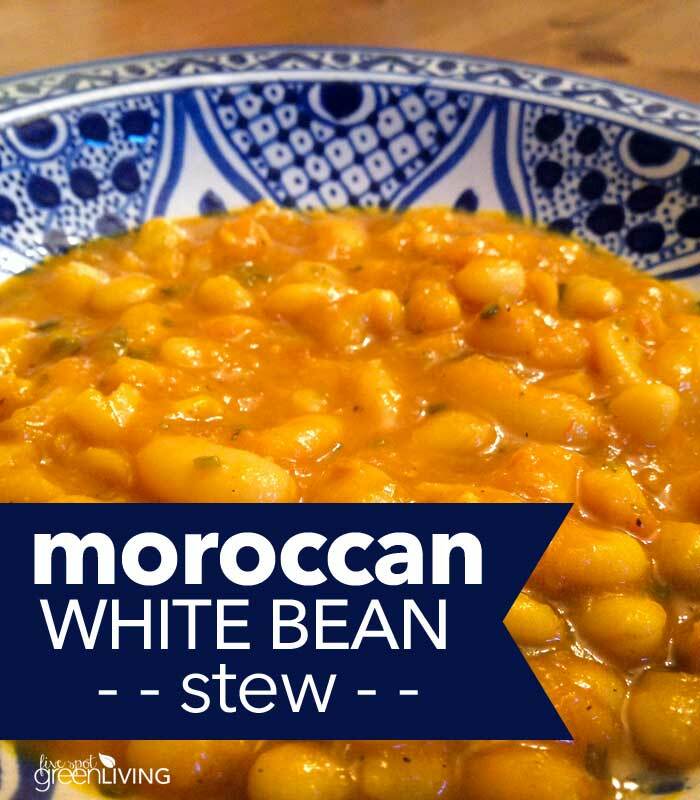 Your Moroccan White Bean Stew looks amazing! Hope you are having a great day and thanks so much for sharing with us at Full Plate Thursday and come back to see us real soon! This looks really good! Thanks for joining the To Grandma’s House We Go link party! Hope to see you next week. Looks delicious and so easy to make. Thanks for sharing. The way you explained eating this with bread by hand is the way I tell people how to eat Laotian sticky rice. Right on point! I’ve been looking for many dishes to cook with beans. Lately we’ve been getting lots of parsley. I can’t wait making these Moroccan bean dishes as I love the ingredients in them and have on hand. Thank you for sharing the recipe.